foreverlux has no other items for sale. Great buy, fast shipping, would recommend! Item was as described, shipping was slow. Wow. Where do I even begin. This is the fragrance that when I smelt it for the first time I had this huge idiotic grin on my face. It is PERFECT. Clean, powdery sweetness that is soft and alluring. Does it draw compliments? Depends on where you use this and who you are with. I sprayed this on a night out and got compliments from 2/4 guys I was riding with and there were "smash-your-heads-in" compliments as Jeremy Fragrance would say. Everytime in a small closed environment, you hug a girl you get a compliment. But wear this in open spaces like a library or a nightclub you would smell like a plain stick of butter. This thing has little to no silage and sits very close to the skin after an hour. HOWEVER, on a date, one on one with a girl that is within close proximity of you, the cardamom in this fragrance will keep everyone of your interest at your fingertips. Signature scent worthy. Performance is moderate and silage is light to moderate. Very nice smelling cologne. I own about 30 different colognes and I would have to say this is in the top 3 if not number one. Wish it lasted a little longer but I would still buy again. Would rate it up there with my Green Irish Tweed which also don't last long on my skin. 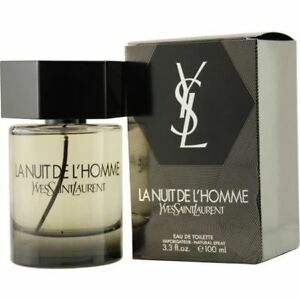 La Nuit De L'Homme lasts longer than the Tweed. Long story short if you want to stand out from others you need to purchase a bottle of this. I bought this Fragrance based on alot of recommendations from Reviewers and I was ever so happy with it. I get so many compliments from it and it tends to last on my skin for around 8 hours so it has great longevity. One of my favorites as of now.